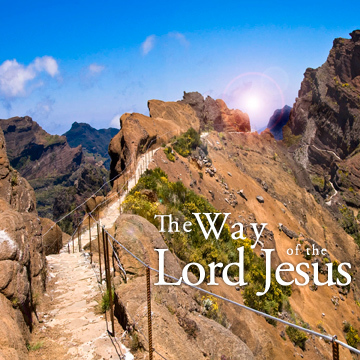 The Way of the Lord Jesus: Basil Cole, O.P. Fr. Basil Burr Cole, O.P., was born in San Francisco, California, on March 14, 1937. He went to St. Monica's grade school and St. Ignatius High School. He majored in English literature at the University of San Francisco, and received a B.A. degree. In 1960, he entered the Western Province of the Order of Preachers (the “Dominicans”) and did his novitiate in Kenfield, California. After making simple vows, he studied at St. Albert’s College in Oakland, and was ordained to the priesthood on June 10, 1966. In 1967–68, he studied at Le Saulchoir, Etiolles, France. There he received the lectorate and S.T.L. degree in 1968. His thesis was a study of violence in the writings of St.Thomas Aquinas. After teaching logic and Christology at Pilarica College (1968–69) in Thousand Oaks, California, Fr. Basil was elected prior of St. Dominic’s Priory in San Francisco. In 1974, he was elected prior at Daniel Murphy High School in Los Angeles. While there, he also became a member of the Western Dominican preaching band and carried on that work until 1998, giving retreats and parish missions at many places in the United States and abroad. From 1985 to 1997, Fr. Basil also was an invited professor of spiritual and moral theology at the Pontifical University of St. Thomas Aquinas (“The Angelicum”) in Rome, Italy, where he taught the first semester of each academic year. And while teaching at the Angelicum, he earned his S.T.D. with a dissertation on the relationship between morality and music. In 1998, Fr. Basil became a member of the Pontifical Faculty at the Dominican House of Studies in Washington, D.C. As a Professor there, he has taught courses in spiritual, moral and dogmatic theology. When his academic responsibilities permit, he also still accepts invitations to preach. Publications by Basil Cole, O.P. Christian Totality: Theology of Consecrated Life, with Paul Conner, O.P. (Bombay: St. Paul Editions, 1992; rev. ed. 1997); (Staten Island, N.Y.: Alba House, 1997); trans. Anna Maria Nowak and Danuta Dowjat, Plenia Chrzescijanstwa (Poznan: W. Drodze, 1997); to be published: La Plenitude de la Vie, trans. Wilfred-Marie Hueto (Paris: Pierre Tequi, 2010). The Moral and Psychological Effects of Music: A Theological Appraisal (Rome: 1992); Music and Morals: A Theological Appraisal of the Moral and Psychological Effects of Music (Staten Island, N.Y.: Alba House, 1993). A New Catechism of the Consecrated Life: Help for Perplexed Postulants and Novices of the Third Millennium, with Paul Conner, O.P., rev. ed. (Bangalore, India: Asia Trading Corporation, 1999). Consecrated Life: Contributions of Vatican II, Dominic Hoffman, O.P., with Basil Cole, O.P. (Bombay, India: St. Paul’s Publications, 2005). The Hidden Enemies of the Priesthood: The Contribution of St. Thomas Aquinas (Staten Island, N.Y.: Alba House, 2007). “Aspetti particolari dell’ obbedienza religiosa: Il patrocinio universale di San Giuseppe,” in Compendio di Teologia Spirituale: In Onore di Jordan Aumann, O.P. (Rome: PUST, 1992), 269–83, 455–63; “The Universal Patronage of St. Joseph,” in Compendium of Spirituality, vol. 1, ed. E. De Cea, O.P., trans. and annotated Jordan Aumann, O.P. (Staten Island, N.Y.: Alba House, 1995). “Forward” to Katheryn LaFleur, S.P., Louise de Marillac: A Light in the Darkness, A Woman of Yesteryear, A Saint and Model for Today (Hyde Park, N.Y.: New City Press, 1996), 5–7. “Twentieth-Century English-Language Dominican Studies on St. Joseph,” with Timothy Sparks, O.P., in Dominicans on Saint Joseph: Devotion to Saint Joseph in the Order of Preachers Through the Centuries (River Forest, Ill.: Dominican Friars, 1997), 209–18. “Angels And The World Of Spirits,” with Robert Christian, O.P., in Allen Duston, O.P., and Arnold Nesselrath, eds. Angels from the Vatican: The Invisible Made Visible (Alexandria, Virginia: Art Services International, 1998), 34–43. “Reply to Fr. Ashley,” with William E. May and Nicanor Austriaco, O.P., in The National Bioethics Quarterly, 1 (Spring 2001): 9–11. “Response”, in Spirituality: Does It Have a Place in the Seminary (Washington DC: Washington Theological Consortium, 2001), 19–21. “Response to Robert R. Reilly,” in The Catholic Imagination: Proceedings for the 24th Annual Convention of the Fellowship of Catholic Scholars (South Bend, Ind. : St. Augustine’s Press, 2003) 128–33. “Mary’s Virginity, Theology of the Body, and St. Thomas Aquinas,” in The Virgin Mary and Theology of the Body, ed. Donald Calloway, M.I.C. (Stockbridge, Mass. : Marian Press, 2005), 65–90. Articles s.v. “Mysticism,” “Social Teaching of the Church,” “Chastity,” “Avarice,” “Germain Grisez,” “Stewardship,” “Profit” (with Allen Moran, O.P.) in Catholic Encyclopedia of Catholic Social Thought, Social Science, and Social Policy, ed. Joseph Varacalli, et al. (Lanham, Maryland: Scarecrow Press, 2007). Letter in “Colloquy: More on the Contraceptive Choice,” National Catholic Bioethics Quarterly, 7 (2007): 653–54. “Seven Deadly Sins,” in The Cambridge Dictionary of Christian Theology, ed. David Fergusson et al. (Cambridge, England: Cambridge University Press, 2008). “Must We Have Altar Boys?” Homiletic and Pastoral Review, April 1978, 23–26. “The Parish Council: Conceiving, Creating, and Sustaining,” The Priest, November 1978, 30–33. “Pastoral Reflections on Rock Music,” Homiletic and Pastoral Review, April 1979, 24–29. “Eve and The Priest,” The Priest, October 1979, 21–24. “Whatever Became of Indulgences,” Homiletic and Pastoral Review, May 1980, 60–68. “Mary and Joseph: Their Love for Each Other,” Homiletic and Pastoral Review, October 1981, 9–17. “More Pastoral Reflections on Humanae Vitae,” The Priest, January 1982, 28–32. “Divorced Children: What Are We Doing to Help Them?” The Priest, November 1982, 3–4. “Is Confession of Devotion Passé?” Homiletic and Pastoral Review, February 1983, 14–20. “Is Limbo Still in Limbo?” Homiletic and Pastoral Review, March 1985, 56–64. “Preaching The Mystery of The Trinity,” The Priest, July/August 1986, 38–42. “The Apostolate of The Laity: Wherefrom? Whereto?” The Priest, February 1987, 37–45. “Reflexions pour une spiritualité masculine,” trans. Guy Beduelle, O.P., Sources (Fribourg), Mars-Avril 1987, 49–55. “Heaven: Boring, Confusing or What?” Faith and Reason, 14 (1988): 117–132. “St. Joseph and Maturing in the Faith,” Homiletic and Pastoral Review, March 1989, 20–25. “Spiritual Direction for the Artist,” Pastoral Life, July/August 1989, 22–29. “Reflections on Fatherhood and Priesthood,” The Priest, December 1989, 32–36. “A Note on Mulieris Dignitatem,” Angelicum, 67 (1990): 121–128. “Some Practical Lessons from Historical Spirituality,” Faith and Reason, 16 (1990): 131–140. “The Homily: A Priestly Act of Worship,” with Joseph Fox, O.P., The Priest, October 1990, 32–42. “An Introduction to Basic Goods in the Writings of Germain Grisez” Angelicum, 70 (1993): 39–65. “Humanae Vitae and Some Principles for Re-evangelization,” Faith and Reason, 70 (1993): 95–107. “Pastores Dabo Vobis and Priestly Formation” (part I), with Michael Carey, O.P., The Priest, July 1993, 10–18; “The Dominican Constitutions as a Model for Other Clerical Institutes” (part II), The Priest, August 1993, 33–42. “The Peculiar Authority of the Master of Students,” Ashram, September 1993, 122–128. “O Priest, Who Are You?” (part I), The Priest, August 1994, 10–16; “A Model for All Priests” (part II), The Priest, September 1994, 36–41. “The Master of Novices According to the Constitutions of the Dominican Order,” Ashram, March 1995, 3–13. “Spiritual Doctrine of the New Catechism,” The Priest, April 1995, 40–49. “Music and Spirituality,” Homiletic and Pastoral Review, May 1995, 6–10. “General Absolution, General Confusion,” Homiletic and Pastoral Review, July 1995, 46–50. “Teaching Justice and Chastity,” The Priest, September 1995, 10–14. “Infallibility: Breadth and Depth, A Possible Explanation,” Angelicum, 72 (1995): 489–517. “New Sins against Faith,” Angelicum, 73 (1996): 3–20. “The Faith Mystery of the Permanent Deacon,” The Priest, March 1996, 10–15. “Consecrated Obedience and Spirituality,” Angelicum, 73 (1996): 569–587. “Liturgy and the Musician: Collision or Synthesis,” Homiletic and Pastoral Review, June 1997, 6–13. “On Altar Servers and Serverettes,” New Oxford Review, January 1998, 18–20. “Original Sin in Moral Decision Making,” Homiletic and Pastoral Review, July 1998, 48–55. “Infallibility Revisited,” The Priest, October 1998, 9–20. “The Hidden Enemy,” The Priest, Feb. 1999, 34–40. “Liturgy and Reconciling the Generations,” Journal of Future Generations (Rabat, Malta), March 1999, 29–40. “The Poor and Rich Souls of Purgatory,” Homiletic and Pastoral Review, July 1999, 29–32, 45–46. “Cardinal Mahoney’s Gather Faithfully Together,” Homiletic and Pastoral Review, Aug.-Sept. 1999, 14–19. “Humility: Fulfilling or Humiliating?” Homiletic and Pastoral Review, Dec. 1999, 54–60. “Indulgences and the Millennium,” The Priest, January, 2000, 34–43. “Is There a Spirituality of Study?” Homiletic and Pastoral Reiview, March 2000, 23–28. “Angels, Devils and the Catechism,” Faith and Reason, 26 (2001): 315–337. “The Desire for the Episcopate and the Sin of Ambition According to St. Thomas,” Angelicum, 76 (2001): 3–21. “Catholic Bioethics: Three Recent Studies,” The Thomist, January 2002, 132–147. “Trinity: A Necessity for Catechetics?” The Priest, May, 2002, 38–44. “Prospects for Xenotransplantation: A Brief Commentary,” National Catholic Bioethical Quarterly, 2 (2002): 399–405. “Pride: The Other Hidden Enemy of Priestly Life in St. Thomas Aquinas,” The Priest, December, 2003, 36–41. “Why So Long to Make a Decision?” Homiletic and Pastoral Review, December 2004, 62–66. “Psychological Slavery of Anger,” The Priest, August 2005, 46–52. “Is the Moral Species of Craniotomy a Direct Killing or a Saving of Life,” Nova et Vetera, 3 (2005): 689–702. “Spirituality of the Arts,” with Gem Sullivan, Logos, 9 (2006): 318–33. “The Immaculate Conception, St. Thomas, and Blessed Pius IX,” with Richard Belanger, O.P., Nova et Vetera, 4 (2006): 473–94. “Those Irrelevant Angels,” The Priest, Dec. 2006, 36–44. “St. Joseph’s Role in the Spiritual Life,” Homiletic and Pastoral Review, March 2007, 56–62. “An Easy Outline for the Preacher of Mary,” The Priest, March 2007, 44–47. “The Bishops and the Consecrated Life: A Necessary Link,” Nova et Vetera, 5 (2007): 495–510. “Is Limbo Ready to be Abolished: Limbo Revisited,” Nova et Vetera, 6 (2008): 403–18. “A Primer of Bioethics for the Parish Priest,” part 1, The Priest, June 2008, 20–24, “Medical Moral Theology for the Parish Priest, part 2, The Priest, July 2008, 21–24. “The Goal of Premarital Chastity: Marital Chastity,” part I, The Priest, May 2009, 60–74; “Aquinas’s Contribution to the Question of Chastity, part II, The Priest, June 2009, 35–39.